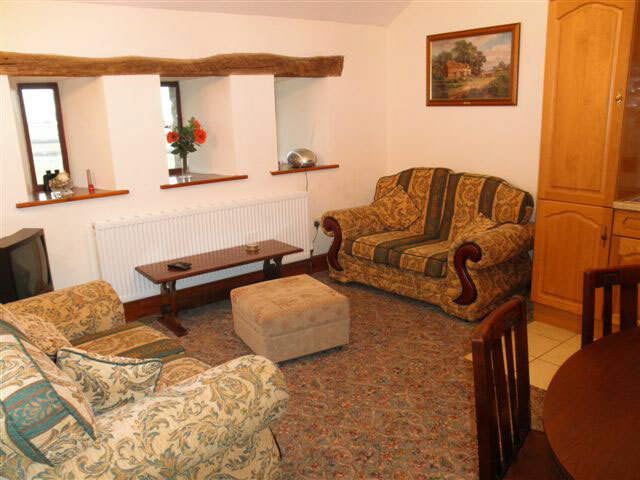 The Holiday Cottage is available to let all year round. Prices for Holiday Cottage:- £250 - £500 per week, please contact us for more details. The most recent addition to the farm is a two bedroom holiday cottage which was converted from an old barn. 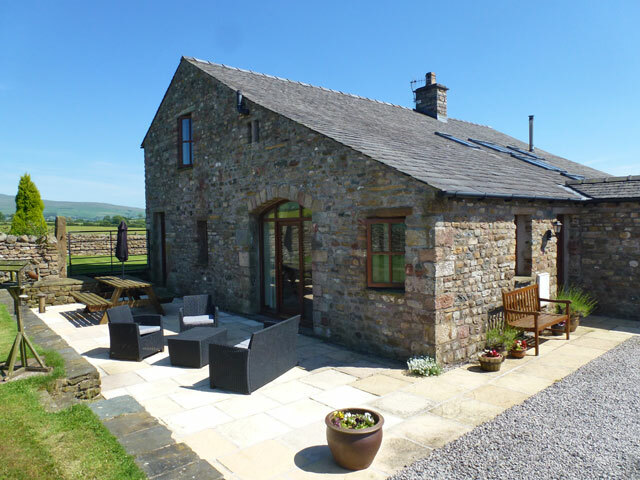 It is situated at the highest point on the farm and so has stunning views of Ingleborough and the surrounding fells and on a clear day you can see some of the Lake District hills and be prepared for some amazing sunsets!! The secluded location makes it an ideal honeymoon retreat but is also suitable for small families. 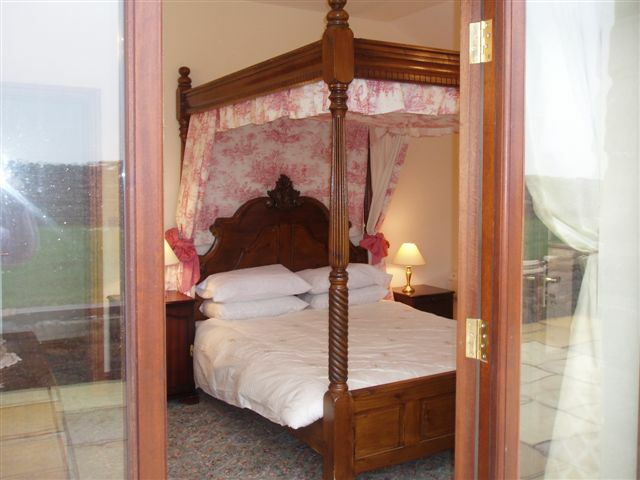 On the ground floor are a beautiful four poster bedroom and a twin bedroom. There is a bathroom with bath and shower over, hand basin and toilet and a heated towel rail. The living, dining, kitchen area is upstairs to take advantage of the views. 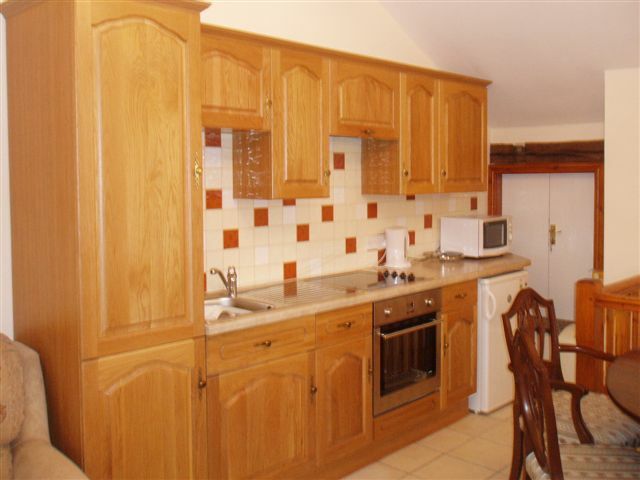 There is an electric cooker and hob, microwave, fridge, TV and video, radio, CD player and Wi-Fi. The cottage is fully oil central heated. There is a large enclosed garden with patio furniture and ample parking space.